Nowadays, the internet is crawling with spammy sites offering free textures. Designers know textures and patterns can quickly add an amazing amount of depth and detail to a project. On the other hand, we usually have a small budget for premium stock and limited time. Seriously, who needs to opt-in to another email or share more spam on Google+ just to download a texture? Not I. Therefore, I’ve compiled a list of my favorite non-spammy freesources for textures and patterns for commercial or personal use. 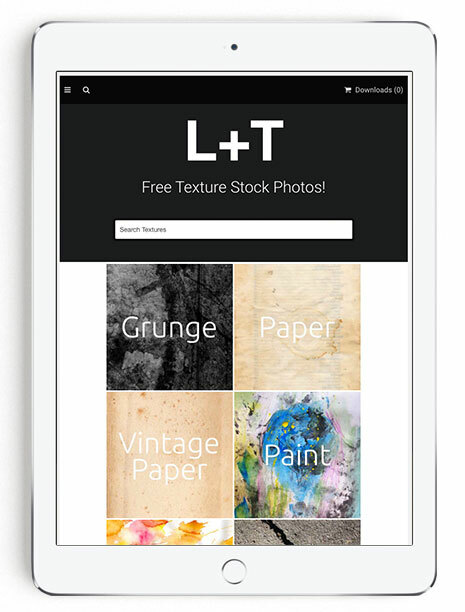 Lost & Taken is a beautifully visual texture photography library. This freesource showcases textures from contributing photographers, organized into simple categories. They also have the option to download their full texture package to add to Photoshop. These textures aren’t seamless, so they are best used full resolution as a background. To support the longevity of the site, you can make an optional donation on each texture. Wild Textures is an expansive library or free textures and patterns. First of all, the library is run by one cool designer and photographer named Tomasz Grabowiecki. In the true spirit of open source altruism, he hosts the library to showcase his photography and made it free-to-use for private and commercial projects. The interface is easy to use, with options to filter by category or color and a tag-based search feature. Additionally, he displays each texture in real-world samples, including several 3D mapping and background applications. He also has seamless textures and patterns available! If you use his work, be excellent to him and share his site. 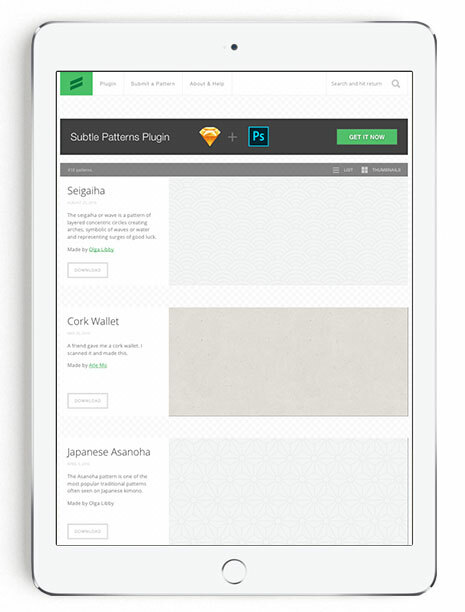 Subtle Patterns is a library of skillfully designed and subtle seamless patterns. Atle Mo, an interaction designer from Oslo, created and carefully curates this library. Patterns can be displayed in list or grid layout and finding what you want is easy with the tag-based search tool. While you can download single patterns in PNG or GIF format for free, a comprehensive Photoshop plugin is also available for $17.99 to support his efforts. 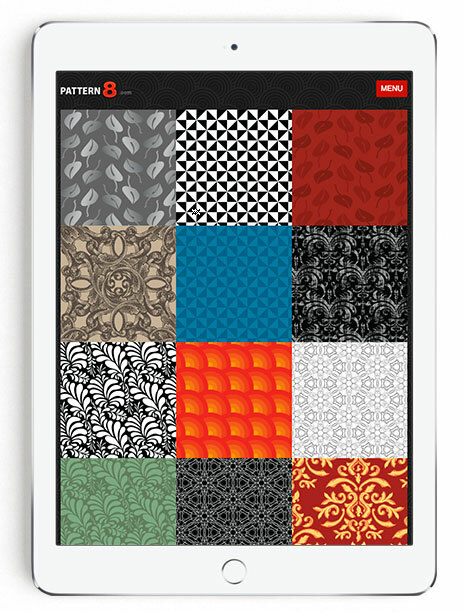 Pattern8, created by John Rawsterne, is a large collection of seamless patterns. First of all, the site has the holidays covered with many festive options. For everyday designing, there are also many beautifully intricate patterns. Additionally, several patterns have a link to his blog, PatternHead.com, where vector EPS files are available. Pattern8 features a convenient search by color and tag-based search tool, since it was built to better organize offerings on the PatternHead blog. If you like his work, you can donate to show some love. Tim Holman and Claudio Guglieri created The Amazing Pattern Library, an ongoing project to compile a stunning collection of seamless patterns. It seems like they’ve networked with some seriously talented designers to build the collection, on top of contributing themselves. 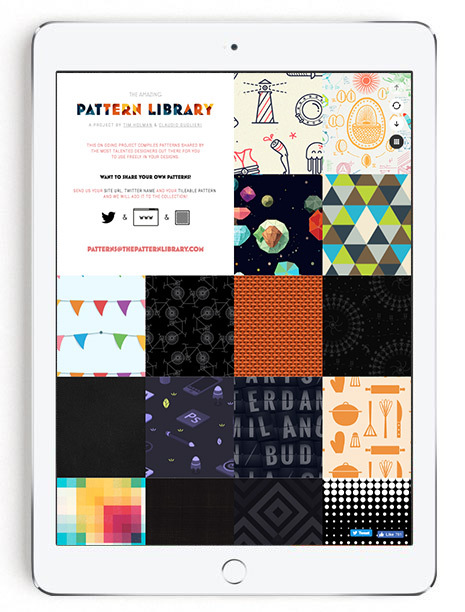 In addition to being free-to-use, patterns are bright, modern, and artfully-designed. While the site is lacking category navigation or search, the thumbnail template option makes the collection easy-to-browse. An important note: The site’s interface works best on Safari. Because I know this isn’t a complete list, what are your favorite pattern or texture freesources? As much as I like giving tips, I love learning what other designers are using! Seems like you might know of some similar sites. Leave a comment below and share your knowledge.